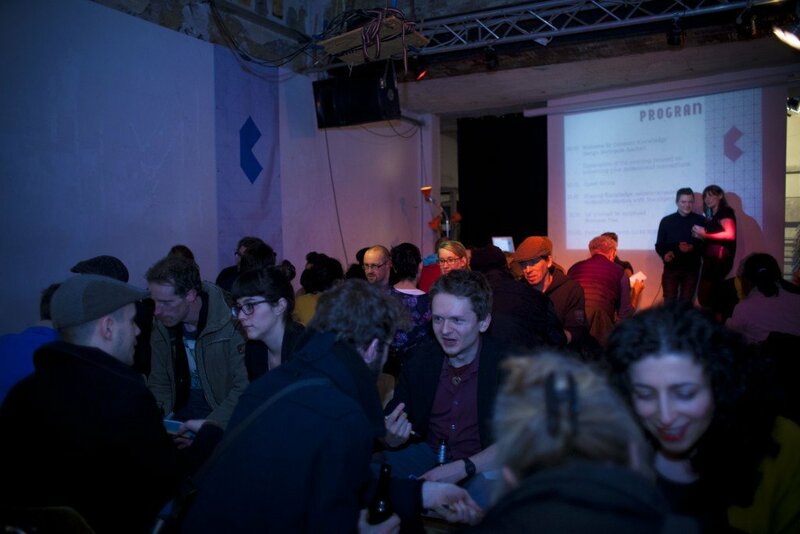 In February Common Knowledge #16 ( Business ties) took place at the RASTÄTTE. RASTÄTTE is a nice place that welcomes for free any kind of cultural events and projects. Its activities range from concerts, exhibitions, cinema evenings, theatre or dance performances, lectures and so on. The platform is not-for-profit and gives the chance to any enthusiastic people to host their project and share them with art-lovers. The platform is managed by the association of Förderverein Kunst & Internet e.V. The team is approachable and truly involved in giving access to culture, starting by enabling people to realize their projects. The intimate atmosphere is perfect to connect with people and sharing insights about art and culture.